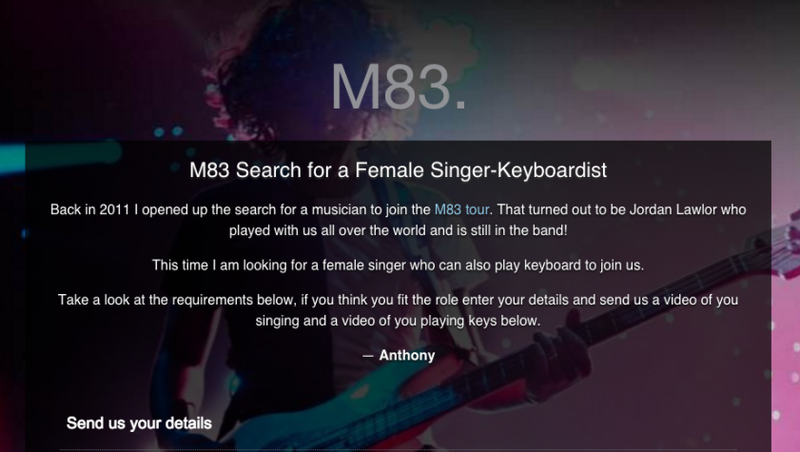 The French group M83, known for their hits "Midnight City" and "Wait," posted on their website earlier that they are looking for a female singer/keyboardist to join their band. So if you have dreams of getting super sweaty and dancing nervously in front of thousands of people, sleeping in vans, and eating Subway 5 days a week, now is your chance! Read the entry below. What is most surprising and actually a pretty damn cool thing, is the fact that they did this exact thing back in 2011 and in turn got Jordan Lawlor who is now a permanent fixture in the band. So they are serious and you should seriously apply. The application is available on their website. Vibe out to this awesome Team Ghost remix of "Midnight City" while you fill out your application. 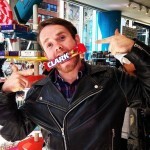 Follow M83 Online, on Facebook, Twitter, Soundcloud, and YouTube.